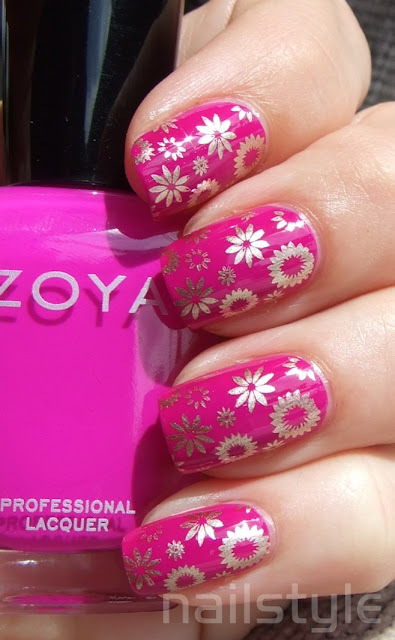 Nailstyle: Zoya Charisma with stamping - bold! 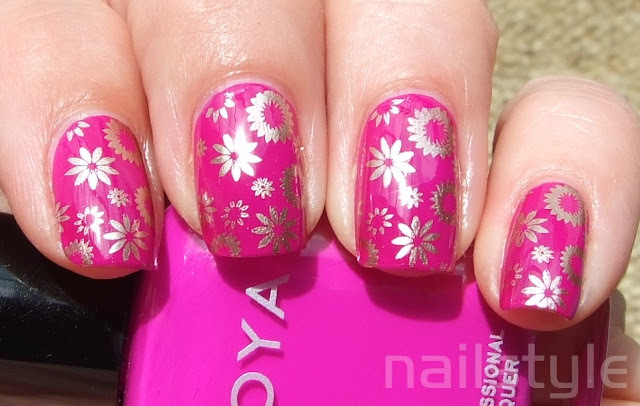 Today's polish is Zoya Charisma which I didn't realise was a matte polish until I applied it. My word - it certainly is loud in the bottle, and while it is quite opaque it applies a bit streaky so I needed three coats. I'm not sure how best to describe this other than say it's a bright (obviously!) fuchsia bordering on purple. And loud it certainly is! Didn't help that I was wearing a green top lol Check out this . . .
Dont u like bright colours? I think its super cute! YIKES I don't do bright or pink!! but your stamping is perfect! looove this one! your so great at stamping! im jealous! So cute! Love the bright and the bold. Well it did grow on me - but loud indeed!